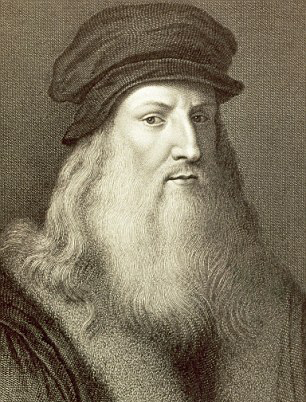 Leonardo da Vinci (1452-1519) was a painter, architect, inventor, and student of all things scientific. His natural genius crossed so many disciplines that he epitomized the term, “Renaissance Man.” Today he remains best known for his art, including two paintings that remain among the world’s most famous and admired, Mona Lisa and The Last Supper. Art, da Vinci believed, was indisputably connected with science and nature. Largely self-educated, he filled dozens of secret notebooks with inventions, observations and theories about pursuits from aeronautics to anatomy. Although he was lauded in his time as a great artist, his contemporaries often did not fully appreciate his genius-the combination of intellect and imagination that allows him to create, at least on paper-such inventions as the bicycle, the helicopter, and an airplane based on the physiology and flying capability of a bat. DIFF’s “Leo Award” is based on a sculptural version of a self portrait drawing made by da Vinci known as “portrait of a man in red chalk.” This self portrait was made in 1510 when da Vinci would have been about 60. 1452 Leonardo was born on 15th April in Anchiano, a place in the Vinci’s countryside, a small town near Florence, as an illegitimate son of the notary Ser Piero da Vinci and Caterina, a woman of humble origins. 1466 He moved to Florence with his father. 1469 He began to work as an apprentice in the workshop of the great Master Verrocchio. 1471 He works together with Verrocchio on the painting ” The Baptism of Christ” realizing the head of an angel and supposedly other details. 1472 He is registered to the Society of the painters of Saint Luke, he began his artistic career independently. 1481 He works on the altarpiece “Adoration of the Magi”, in the Church of San Donato in Scopeto; an artwork that remains unfinished. 1482 He was engaged by the Lordship of the city of Milan to work for the Duke Ludovico il Moro. He dedicated himself in studies on engineering and architecture, painting and drawing. 1489 He designed the bronze monumental “Equestrian statue” for Francesco Sforza. He could have accomplished just the clay model, later destroyed during the French invasion of Milan in 1499. 1490 He worked on the painting known as “The Lady with the Ermine”, which was the portrait of Cecilia Gallerani, Ludovico il Moro’s lover. 1490-1497 He worked on ” The Last Supper”, which was a painting on the wall and not a fresco, because he didn’t use the traditional technique of fresco, but his traditional technique of painting on plank. The masterpiece in facts, deteriorated in a few years from its completion. 1503 While he was in Florence began to work on the painting of ” Mona Lisa “. The Lordship of Florence engaged him to create the fresco of ” The Battle of Anghiari “, of which very few traces remains today in the Great Hall “of the 500” in Palazzo Vecchio . He intensified his studies on anatomy and flight. 1513 He moved to Rome and in Vatican worked for Giuliano de ‘Medici. 1516 He moved to France as a guest of King Francis I, working as an artist and designer of the court and living for few years in the Castle of Amboise. 1519 He died on May 2nd in Amboise, leaving all his manuscripts to his disciple Francesco Melzi , and the paintings to the other disciple Salai. Leonardo da Vinci Museum (WMA Italy, 2017) mostredileonardo.com.